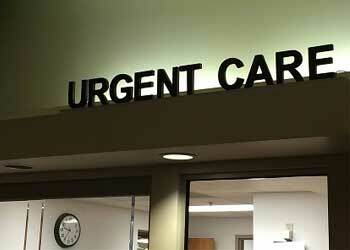 At 5 Star Billing Services, we are well equipped to meet the specific needs of urgent care providers. Our team of certified coders and billing experts has in-depth knowledge and understanding to ensure better revenue management, improved cash flow and higher reimbursements. We work side by side with you to help identify problem areas and establish the most effective and efficient billing and coding processes possible. We typically conduct weekly meetings with our clients and maintain open and ongoing communication, ensuring that progress and reports are analyzed to maximize results and performance. Our certified coders understand the complexities and importance of correct coding. We ensure that claims are submitted correctly the first time. Accelerated reimbursements and payments cut down wait times and improve your cash flow. Every account receives dedicated and personalized care from our expert team. Our services give you 24/7 access to your patient data and financial information. Our billing services are designed to make your life easier. We’re capable of performing all your billing and collection responsibilities efficiently and effectively, giving you more time and resources to focus on providing good care. Whatever the size of your practice or hospital, we can make your business more profitable. We consistently achieve adjustment rates that are higher than the industry average due to the knowledge, skills, and dedicated follow-up processes utilized by our staff. We also operate a state-of-the-art billing system that generates accurately coded claims and submits them electronically, every day. Payments can be received in as little as ten days.